For almost three decades, the principals of Southern Mergers & Acquisitions positioned themselves as the dominant Jacksonville business brokerage firm, serving all of North Florida. Southern Mergers' team continued to grow and expand throughout the Southeast, incorporating business sales in Jacksonville and North Florida, as well as Virginia, West Virginia, Mississippi, Florida and Georgia, and other states. We continue to specialize in the sale of manufacturing, distribution and service related businesses. The majority of our transactions fall within the $1 Million to $25 Million range, however, we broker all types of businesses priced both above and below these amounts. 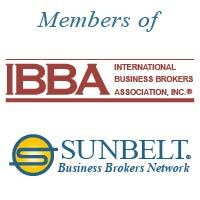 We are members of the IBBA (International Business Brokers Association) and the Sunbelt Business Brokers Network, the largest mergers and acquisitions network in the world. Southern Mergers' managing partner, Bill Law, obtained the IBBA professional designation of Certified Business Intermediary in 1997. 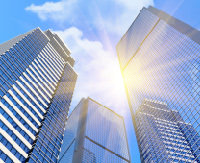 He has been a licensed real estate broker and broker in charge for over two decades. 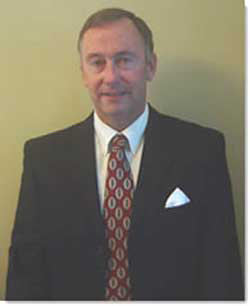 Prior to becoming a full time Jacksonville business broker in 1992, Mr. Law was an accountant and auditor. His wealth of knowledge in understanding tax issues, extraordinary people skills and general knack for deal creativity have helped hundreds of business owners transfer their business to purchasers while saving them millions of dollars in taxes. We have sold just about every kind of business imaginable. Provided the company is not a start up entity, we assist all types of business owners in the sale process. Our vast experience includes our smallest transaction involving the resale of a franchise business to a first time buyer and our largest transaction, a $50,000,000 manufacturing company to a private equity group. However, many of our business transactions are industrial related involving sales to corporate buyers that are often strategic in nature. We encourage you to view some of the transactions our staff has been involved with over the years. Many of the businesses we have sold have never officially been on the market or seen on the internet, and occasionally, business owners have instructed Southern Mergers only to bring them specifically qualified buyers. We understand selling or buying a business is often the largest financial decision many of our clients will ever make in their lifetime. Choosing an experienced intermediary is an extremely important step. Southern Mergers understands completely that the only deals that get done are those where both parties feel equitably compensated and those which culminate in a win-win situation. All parties must feel they were treated fairly, ethically and professionally. Obviously, a Seller wants to obtain maximum value for his company. 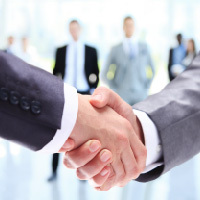 Southern Mergers helps business owners obtain full value for their business and structure the deal with the most favorable tax friendly terms. Southern Mergers begins this process by recasting the business owner's statements and determining true cash flow or adjusted earnings. We then assist the business owner in determining a fair market value, marketing the business confidentially and professionally, and carefully screening buyers in order to ultimately bring forth the right buyer for the business. Usually, the owner of a business is interested in procuring a buyer who will not only pay a fair price, but will also take good care of his/her employees and continue to carry on the business in good standing. For a successful sale to occur, the buyer and seller must personally like and trust one another. Southern Mergers fully understands this and we strive to provide optimal service to both sellers and buyers while transacting each sale. Bill Law is a Certified Business Intermediary and a 1983 graduate of the University of North Carolina at Charlotte with a B.S. in Accounting. During his accounting career, Bill worked for various manufacturing companies and financial institutions as an internal auditor, investment accountant, banking supervisor, real estate development controller and financial analyst. In 1992, he founded Sunbelt Business Brokers Charlotte business brokerage office and has been Sunbelt's longest standing franchisee. Bill is the managing partner of Southern Mergers & Acquisitions, Inc. Since joining the IBBA in 1996, he has served as a speaker / instructor at a number of the IBBA national training conferences. Mr. Law focuses on mid-market transactions in various industries, but specializes in the sale of manufacturing businesses to corporate entities and financial buyers. Some of his transactions have exceeded $20 Million in sales price with some involving multiple sales of companies to buyers in a particular industry. Prior to joining Sunbelt Business Brokers in the mid 90’s, Bob was the owner of a $10 Million/yr manufacturer and distributor of children’s jewelry. Bob also owned his own Sunbelt Business Brokers office until hurricane Katrina devastated the Gulf region. Bob spends much of his time selling small family owned businesses as well as larger mergers and acquisitions. He has attended a multitude of courses taught by the International Business Brokers Association. 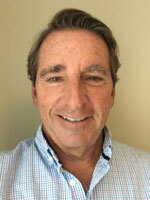 Bob is a Certified Business Broker (CBB) and has Real Estate Licenses in various states. Ed has represented our main Sunbelt office since 1995 and successfully completed deals from one end of the business spectrum to the other. Previous to his 16 years as a business intermediary, he owned a business in the direct marketing industry and, as a result, is experienced in addressing the specific needs of clients operating large and small businesses alike. Ed has a Marketing degree from Pennsylvania University and served time in the United States Marine Corps. He has completed various courses offered by IBBA (International Business Brokers Association) and is a licensed Real Estate Broker in NC & SC. Buddy is a native of Gaston County in NC and has a background in real estate investments and the building contractor industry. Buddy received his undergraduate degree from Belmont Abbey College and his Master’s Degree from UNC-Charlotte and his Ed. D. from Appalachian State University. He finished his 31 year career in education in 2001 when he retired as the Principal of Mooresville High School. He is also a graduate of the Principal’s Executive Program at UNC-Chapel Hill and is a past president of the Mooresville-Lake Norman Rotary Club. Buddy specializes in HVAC companies for the past 6 years. He is a member of IBBA and NEA. John Fulton holds the Sunbelt CMSBB certification, in addition to an MBA and a BS in Accounting from the University of California. He was first licensed as a commercial real estate broker in 1982 and worked for several years at Colliers International in Portland, OR. John is now licensed in NC and SC. He has been an owner of two small businesses including a computer software consulting firm and a restaurant franchise. John is a former Controller for a chain of 13 restaurants including quick service operations and fine dining houses. His professional experience includes senior sales management roles at I.B.M, Digital Equipment and Daimler Trucks N.A. He has been responsible for sales of over $300 million annually. John is a resident of Fort Mill, SC and active in the community. 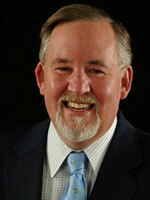 William C. Steffens has been in business brokerage since 1996. Bill was a licensed Real Estate Agent for the state of Tennessee. He has won several awards from VR Corporate and has been top listing agent 12 times and top selling agent 5 times. He has owned several businesses in the service industries as well as construction and insurance. He was educated in the northeast and attended college at the University of Missouri at St. Louis, University of Memphis. Bill has specialized in sales of Convenience Stores, Wine & Liquor Stores, Restaurants and Bars, Funeral Homes and many others. He resides in the Lake Norman area. Al graduated from Trinity College in 1978 and received his MBA from NYU Business School in 1982. He passed the CPA exam in 1982 and spent many years with Salomon Brothers, Lehman Brothers and Bank of America in various roles in sales, trading and capital markets. Al has owned a small business since 2010 but has also been an investor in several other small businesses, mainly in retail and food services. However Al does focus heavily on industrial and manufacturing related companies. Lynn has 35 years of business experience, with a focus on creating customized business solutions. He lived or worked full time in Europe and Latin America for 20 years of his professional life. Most of his career involved creating and operating outsourcing contracts for one of the world’s largest outsourcers, and later as an international consultant specialized in supporting buyers of outsourcing services. Lynn holds a Bachelor’s degree from Oregon State University and a Master’s degree from the American Graduate School of International Management. As a young man he served in the United States Marine Corps. He speaks French and Spanish. Lynn holds the Sunbelt CMSBB certification and is a licensed real estate broker in Jacksonville / North Florida, as well as a member of IBBA and CVBBA professional organizations for Business Brokers. 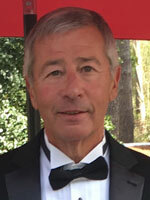 After earning his MBA, Phillip Abdelnor spent fifteen years in Senior Level positions with GTE (now Verizon), Hilex Poly (Sonoco spinoff) and American Federal, after which he served as Controller for Pepsi and Adams Steel for over 10 years while managing a successful consulting group focused on Banking, Healthcare and Small Business Turnarounds. Phillip also has a working knowledge of overseeing structural steel and welding operations.